Easy Mover - Semi-Electric And Fully Electric Pallet Jacks | Carolina Packaging & Supply, Inc.
Great for use in tight spaces. 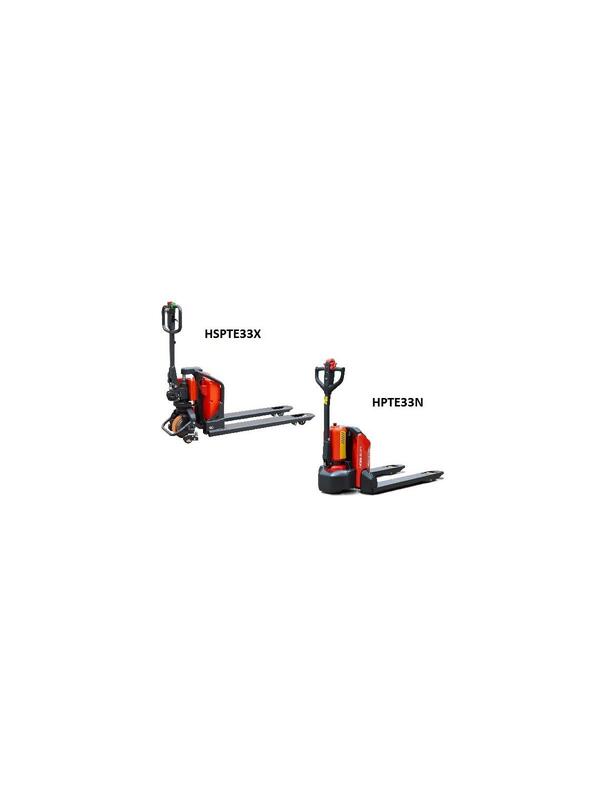 A compact electric motorized pallet jack with an innovative design that can be used in tight spaces such as delivery trucks, elevators and narrow aisles. When the battery gets discharged, it can be easily and quickly exchanged with a spare one. 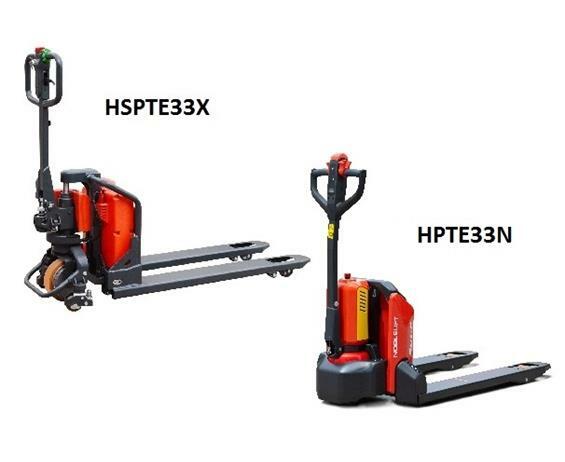 HSPTE33X model can be used as a conventional manual pallet jack once the battery gets depleted. FOB Shipping Point. 70 x 30 x 50"70 30 50"